TThe exceptional new F45 flybridge delivers unparalleled space, quality and flexibility for the ultimate on-water experience. Her extended flybridge includes a seating area with teak dining table and forward L-shaped seats that convert to a sunpad when required. At the touch of a button, her unique, electrically-sliding transom seating arrangement extends the length of the cockpit area to deliver unrivalled main deck space for a 45ft yacht. 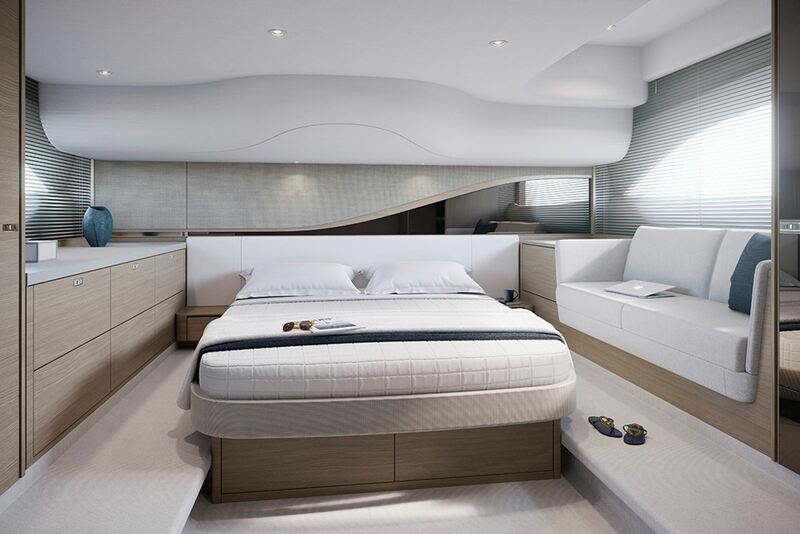 Below deck, a full beam owner’s cabin complemented by a forward ensuite cabin await and exceed your accommodation expectations belying her sleek proportions. 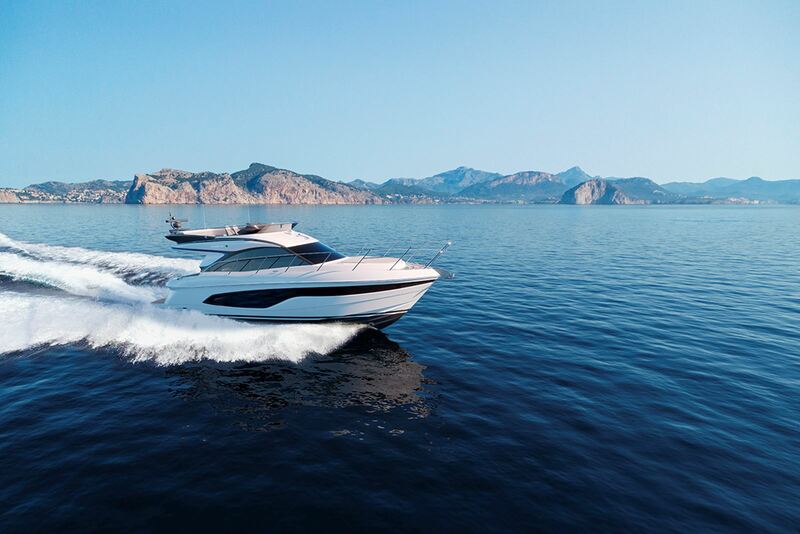 Powered by Volvo IPS 600’s and reaching a top speed of 31 knots, the F45 is a breathtakingly beautiful craft. 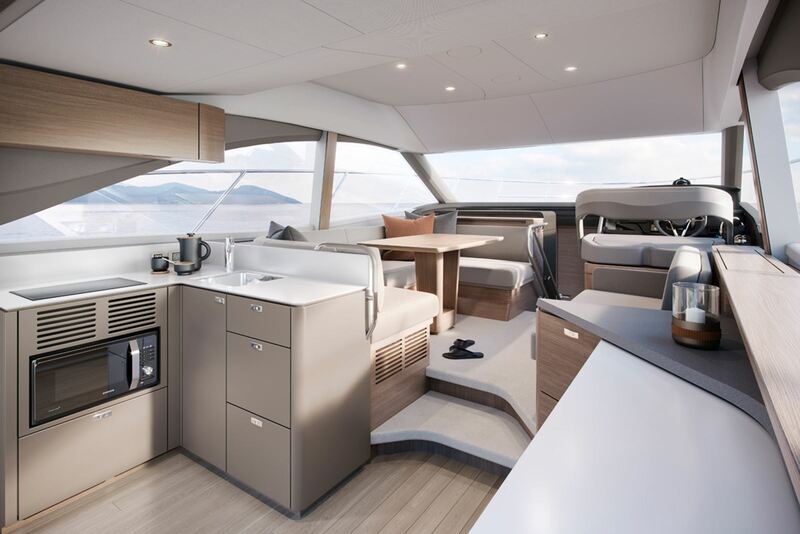 Together with its elegant full-length hull windows, beautifully resolved surfacing, and unusual design detail, the F45 establishes itself as the pinnacle of small flybridge yachts.